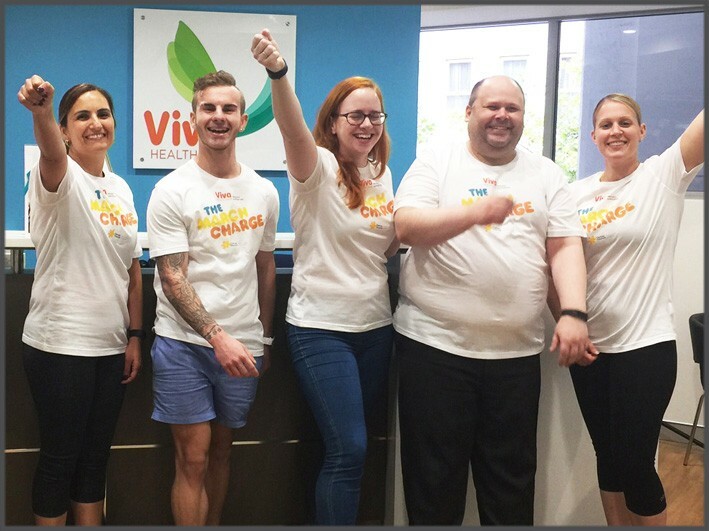 Viva Health Club staff and members were proud to this month participate in the Cancer Councils “March Charge”. The “March Charge” is a fun personal fitness challenge that has an enormous impact on how cancer is researched and treated and supports cancer research, prevention, advocacy and support services. Participants of the event were able to challenge themselves by setting their individual goal of how many kilometres they could walk (or run) during the month of March. Viva Health Club team members walked an amazing total of over 750km during the month of March and raised over $900 in sponsorship. All donations will be going to the Cancer Council who support those affected by cancer and fund world changing research to help more people survive.